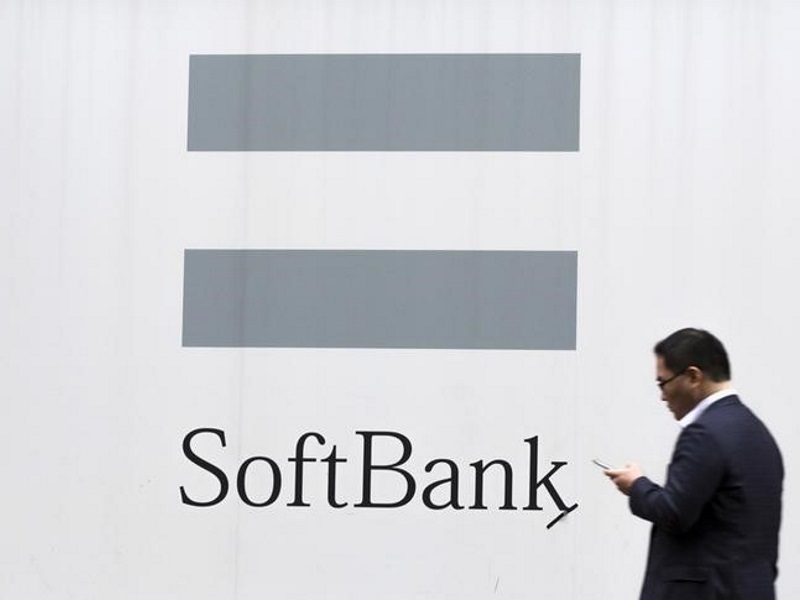 New smartphone subscriptions for SoftBank Group Corp plunged 35 percent at its own stores in Japan’s most populous region in the last business year, according to internal data that paints a far gloomier picture than its published financial results. The data, from a July presentation for distributors and seen by Reuters, highlights the depth of SoftBank’s pain as intensifying competition hits its domestic mobile unit, which is responsible for the bulk of its operating profit. Since losing an exclusive deal in Japan to sell Apple Inc’s iPhone four years ago, SoftBank has seen many users switch to other carriers – with losses made worse last year as it dropped hefty cash-back incentives and as smartphones with cheaper service plans gained in popularity, a source familiar with the situation said. Analysts expect mild profit increases for the unit over the next two years but say much of that will be due to cost cuts. The lack of a strong growth driver could crimp SoftBank’s efforts to revamp US wireless carrier Sprint Corp, they say, adding that the more-than-$20 billion (roughly Rs. 1,30,407 crores) acquisition needs further investment to be competitive. Compared to rivals, Japan’s third-biggest mobile operator provides only limited sales data to the public and domestic smartphone subscriptions are not broken out separately. Disclosed nationwide figures for new subscriptions for devices, which include a wide range of products from tablets to digital photo frames, showed a milder 10.6 percent decline for the year ended in March. The 35 percent slide contrasts with an increase in new smartphone subscriptions in the previous year, the July presentation data showed, although an exact figure was not available. But the data did not include new sign-ups at electronic retailers where most customers go and only counts Tokyo and its surrounding regions. It is also separate from handset upgrades. SoftBank spokesman Takeaki Nukii said he was not able to confirm the 35 percent decline but it seemed sharper than what had been felt in the company. He also said the limited data should not be used as a basis for discussing the overall trend in the company’s smartphone sales and that other data for this business year was upbeat. But a SoftBank source with direct knowledge of the matter told Reuters that the sharp slide shown in the July presentation was broadly similar at electronics retailers and in other parts of the country. “The decline at electronics retailers might not be quite as steep as at SoftBank shops, but the basic trend is the same,” he said, declining to be identified as he was not authorised to speak to the media. The first source familiar with the situation said while he did not have specific figures for this business year, he did not feel the situation had improved. SoftBank declined to comment specifically on remarks by sources. After criticism of the way it collates its subscription data, SoftBank changed its disclosure practices this financial year, creating a new category of “main subscribers” which includes smartphones, flip cellphones and tablets but excludes items such as digital photo frames. April-June data for main subscribers showed net additions – new customers minus cancellations – growing by just 20,000. Similar categories for NTT Docomo Inc showed growth of 940,000 while KDDI Corp had growth of 520,000. Docomo was benefiting as phones offered by cheaper mobile virtual network operators were mostly linked to its network while KDDI has the edge in marketing, said Hideaki Tanaka, analyst at Mitsubishi UFJ Morgan Stanley. “In terms of net additions, SoftBank’s struggles are only going to continue,” he said. SoftBank’s Nukii pointed to figures from research firm BCN that show SoftBank’s sales for the iPhone 6s and 6s Plus. In the 10 days after their launch last month, SoftBank held 42 percent market share for those two models compared with 36 percent for KDDI and 21 percent for Docomo. Once SoftBank’s grip on iPhones in Japan was its greatest strength but it is now seen as too dependent on the products, which accounted for 80 percent of its smartphone sales according to material presented to distributors. The three-year exclusive deal with Apple inked nearly a decade ago helped SoftBank transform itself into a serious rival to Docomo and KDDI, but KDDI gained the rights to sell iPhones in 2011, followed by Docomo two years later. In a nearly saturated market, contracts are virtually indistinguishable across networks and incentives often benefit customers who jump ship to another carrier. The industry outlook could also worsen for Japanese mobile operators in general after Prime Minister Shinzo Abe called for cheaper cellphone rates last month.